The Harriton Men’s 6.5 oz. Long-Sleeve Denim Shirt is available in Sizes: S-6XL and can be purchased from following 3 available crossover colors: Dark Denim, Light Denim and Washed Black. SKU: AB-M550 Categories: Activewear, Corporate Apparel, Men's Corporate Apparel, Men's Corporate Shirts, Woven Shirts, Woven Shirts, Men's Clothing, Shop by Color, Black Tags: men's clothing, woven shirts Brands: Harriton. 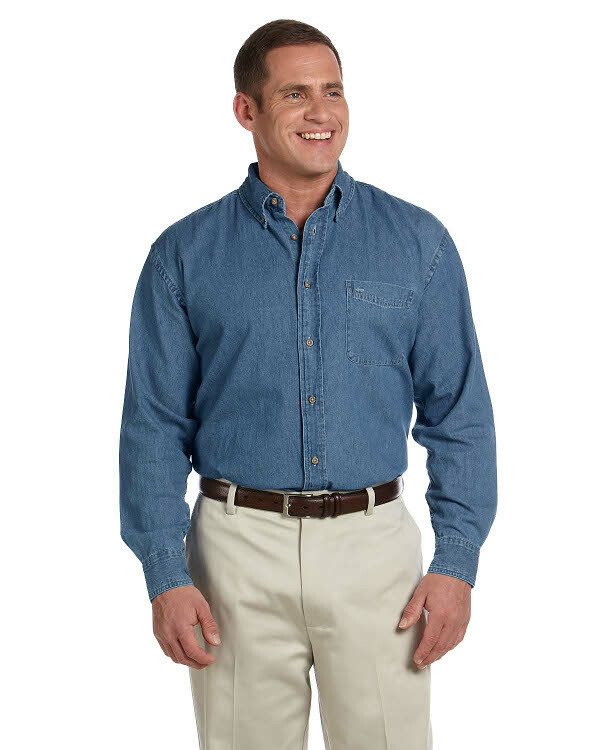 This fully cotton Men’s Long-Sleeve Denim Shirt is featured with flat-felled seams and is suitable for light-service industries: restaurant staff, site supervisors, custodians and warehouse staff. Our Men’s Long-Sleeve Denim Shirt also has button down collar which keeps you looking polished and professional all day long.